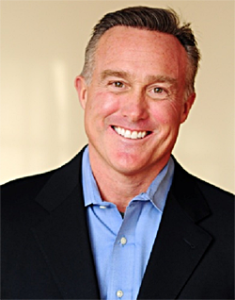 Scott Anderson is a founding principal at Diamond Performance Solutions. He is co-author of the book Reignite – How to Rekindle Your Passion for Selling. Scott spent his entire career—more than 25 years—selling, managing salespeople, and providing sales consulting, training and coaching to some of the biggest and best sales organizations in the world. He has worked with leading organizations including 3M, IBM, Cargill, UnitedHealth Group, Carlson Companies, Andersen Windows, Wells Fargo and The Hartford. He is a signature contributor to the Huffington Post and has authored numerous articles on sales effectiveness. He resides in the Twin Cities of Minneapolis/St. Paul. Today’s executive knows that the key to protecting and growing customer relationships is having the right people in place. An employee who is ineffective or incompetent can cost your organization considerable dollars in lost revenue, lost accounts and reputation. Yet, for many organizations, they have not identified the key attributes that drive organizational success. This session will focus on how to ensure you have the right people and that they are armed with the right attributes skills, tools, and processes to do the job. So much time is put into rolling out tools to assist a sales representative and account managers in being more effective with customers. Up until now, very little time was put into understanding the behaviors and attributes that really make some representatives more effective and productive, and thereby produce better business results than others. This session will dissect the attributes that pay a pivotal role in being proactive and productive in their jobs and provide participants with specific areas of development that can drive true behavior change and higher levels of effectiveness. Case studies along with support tools will be utilized to help attendees apply the strategies to their respective environment. The current business environment is making it more difficult for the average salesperson to effectively position the value of their products or services. Customers are becoming much more sophisticated in setting up purchasing processes thus commoditizing even the most sophisticated products or services.